Teplo Tie is a range of thermally efficient cavity wall ties made of basalt fibre composite. 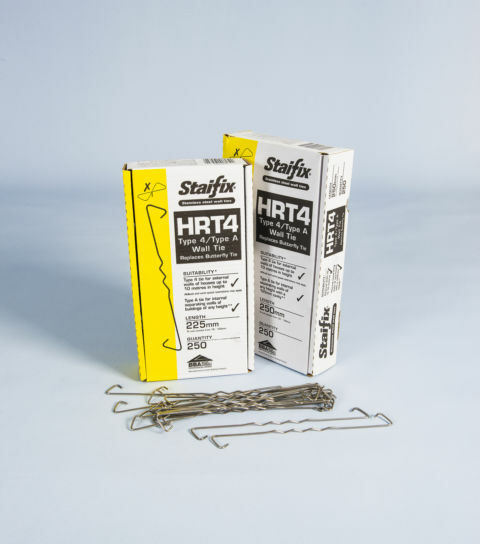 Teplo Ties are stronger and lighter than stainless steel wall ties and 20 times less thermally conductive. 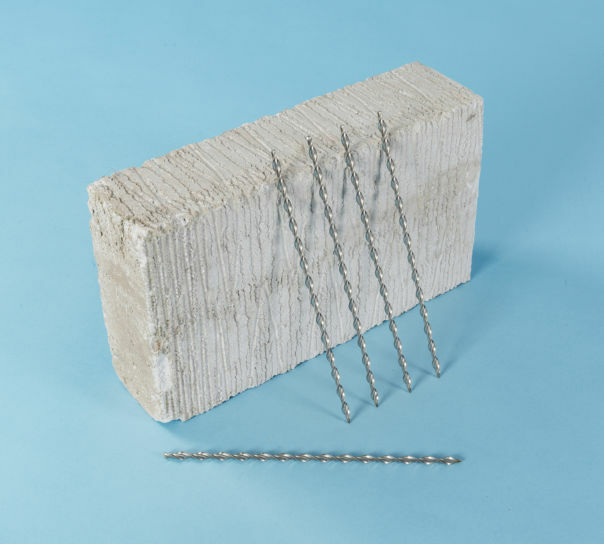 The innovative Teplo wall ties improve the thermal insulation of walls by removing the thermal bridges created by conventional stainless steel ties. 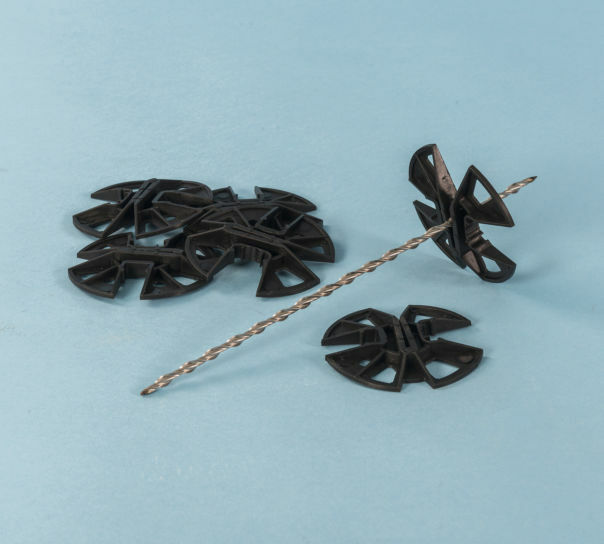 The greater energy efficiency of the basalt fibre wall tie helps reduce the CO2 emissions in buildings through a significant improvement in the U Value of masonry walls. .
* Guidance on tie lengths are based on 62.5mm to 85mm embedment in each leaf of a conventional cavity wall. Teplo Tie is BBA approved. With thermal conductivity of just 0.7W­/mK, the basalt fibre Teplo Ties are the most thermally efficient cavity wall ties available in the UK. Sold in bundles of 10 ties.